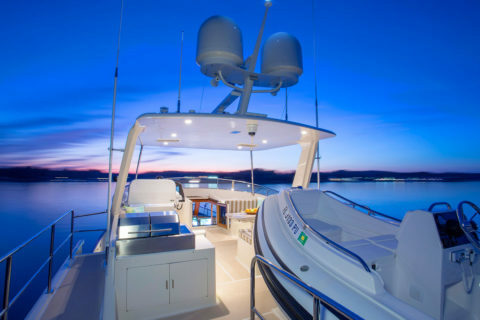 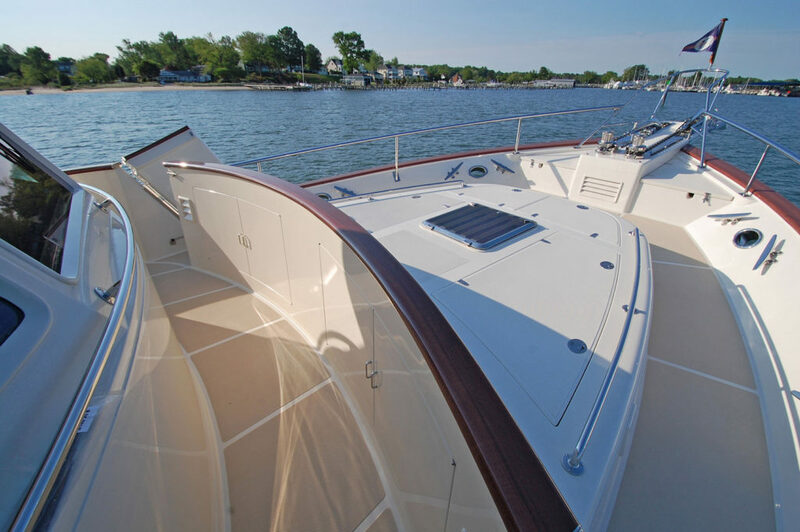 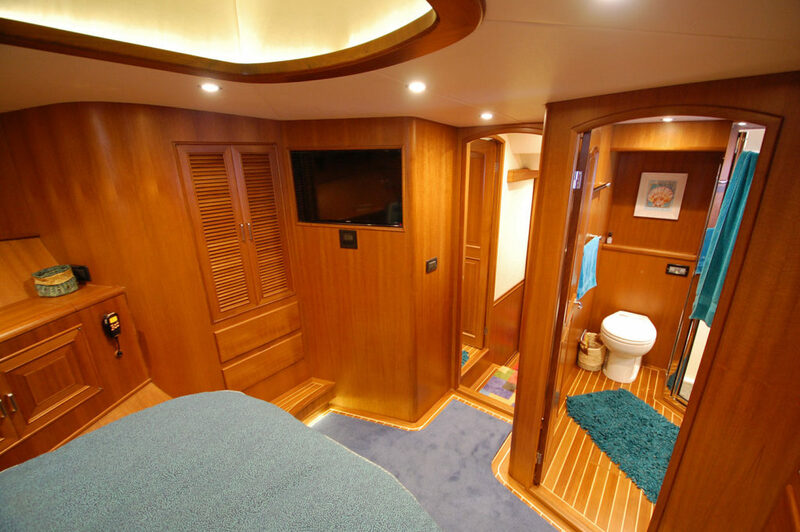 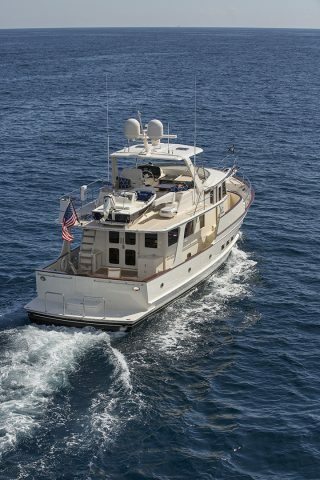 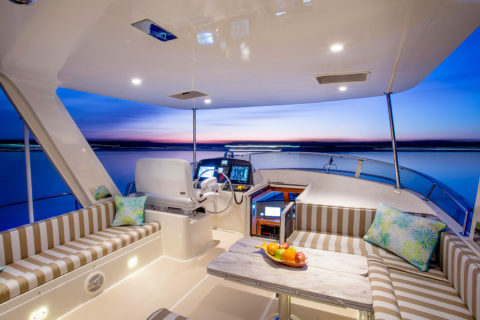 Fleming 58 Luxury Motoryacht For Sale - Burr Yacht Sales, Inc. The latest model in the Fleming lineup is the Fleming 58. After listening to input from existing Fleming owners and doing extensive research, Fleming introduced the 58 to bridge the gap between the Fleming 55 and the Fleming 65. Born of more than 25 years of experience, and the evolution of the three models which preceded its debut, the Fleming 58 unites the ageless allure for which Fleming Yachts are so well known with a unique personality that’s all its own. 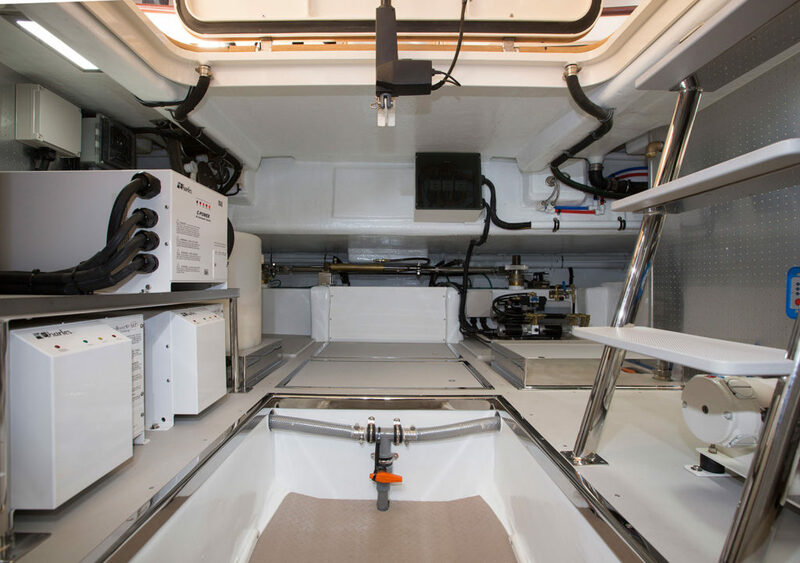 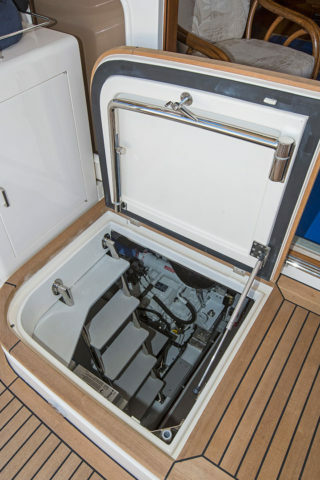 An entirely new Fleming from the keel up, the 58 sits a little higher providing more headroom below the deck which allows a true standup engine room. 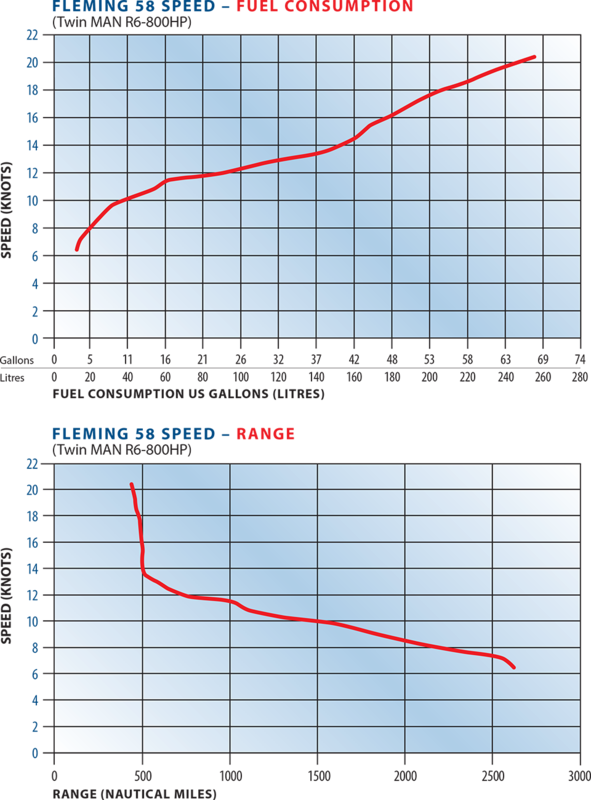 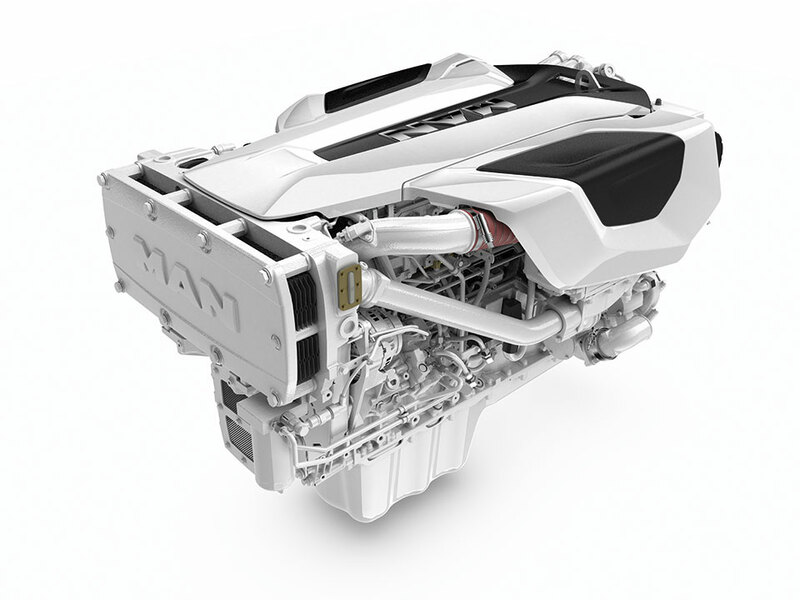 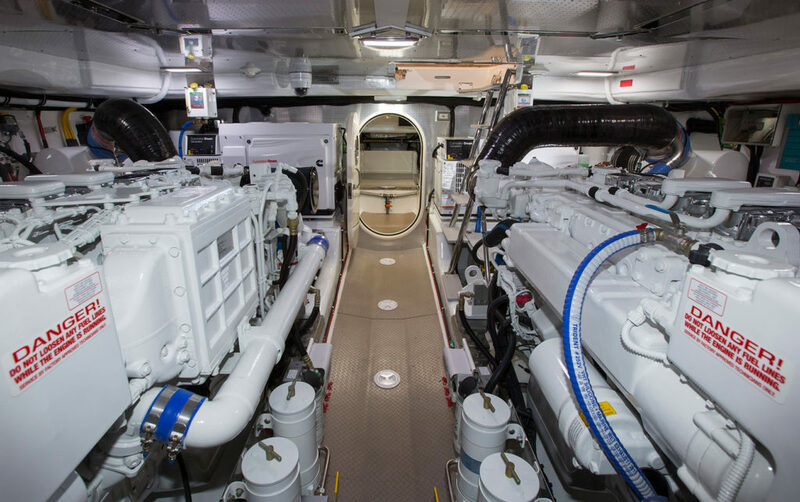 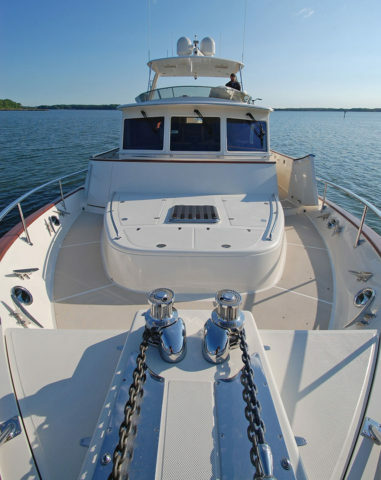 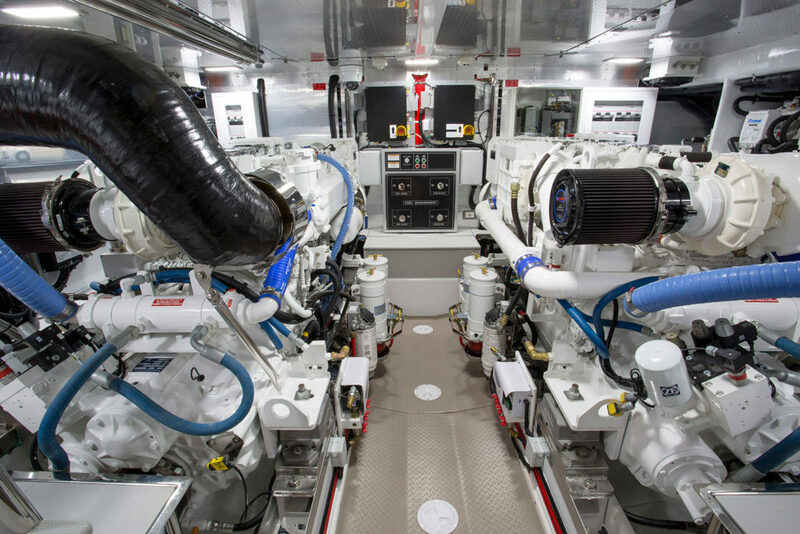 Engine options for the Fleming 58 include the Cummins QSL9 500 common-rail diesel engines, for displacement speeds, or the MAN R6-800 engines, for those interested in cruising sustainably in the upper teens. 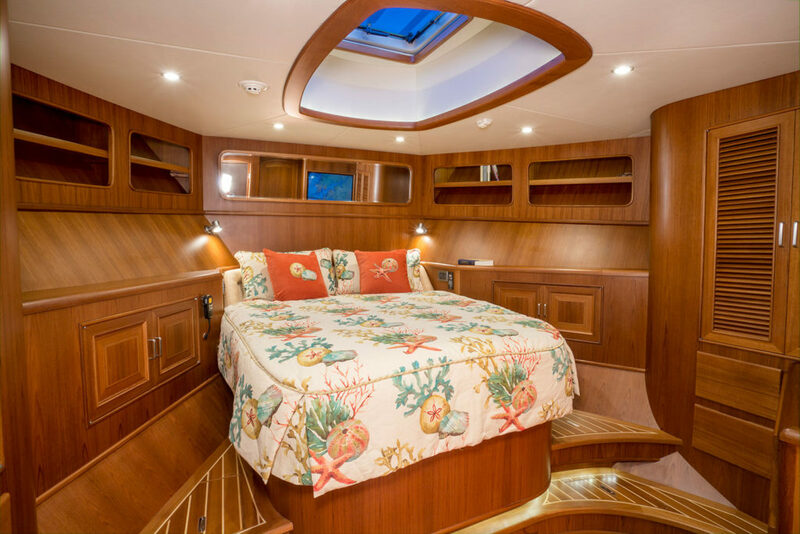 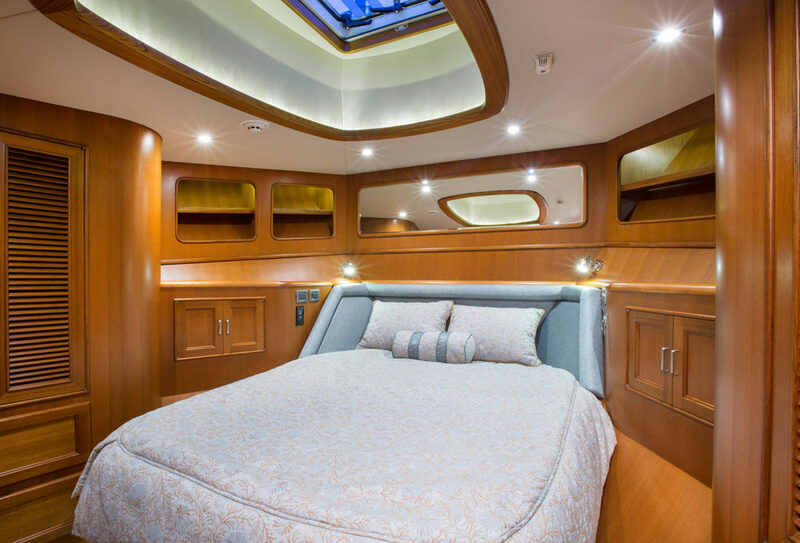 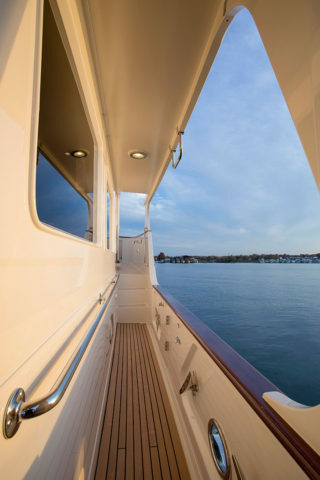 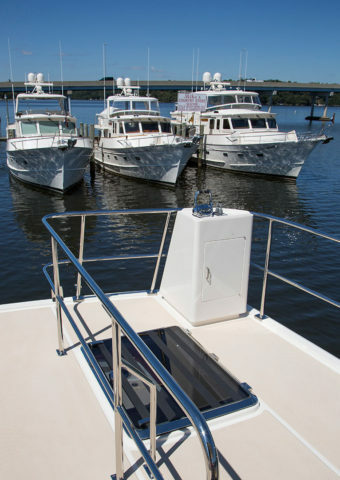 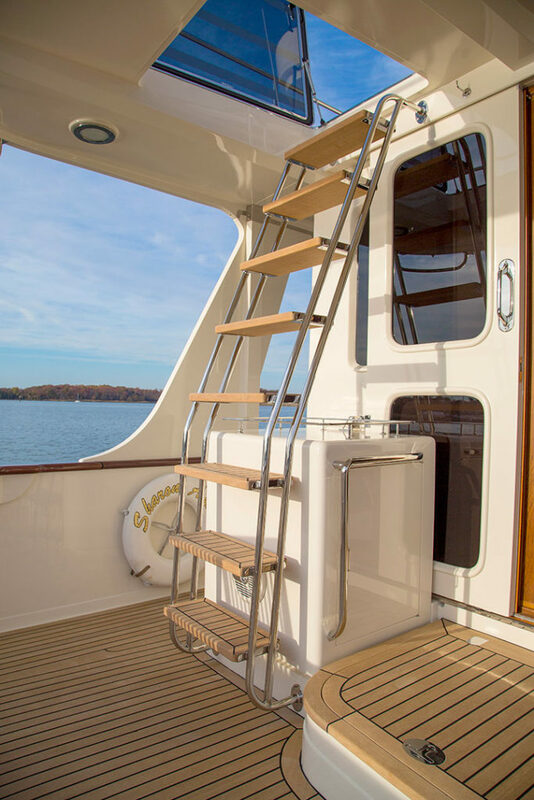 The Fleming 58 features an extended water line, through an integrated swim platform, adding to the overall length of the semi-displacement hull and providing a smoother ride. In addition, the 58 also includes a wider beam which is carried further aft, much like the 65. 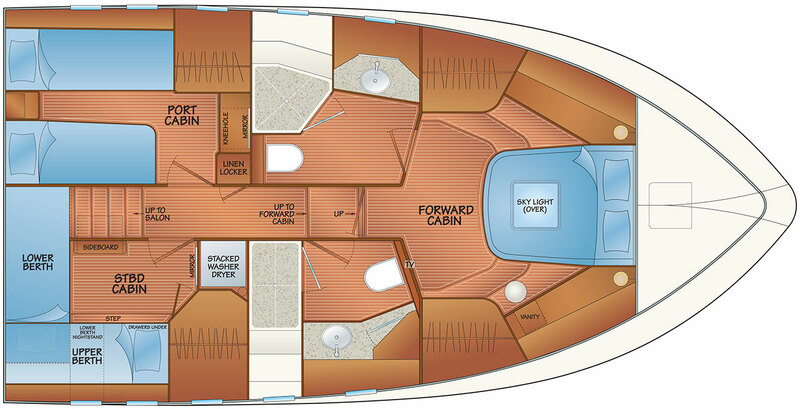 The beam on the Fleming 58 is approximately 18” wider than that of a 55 for a total of 17’6”. 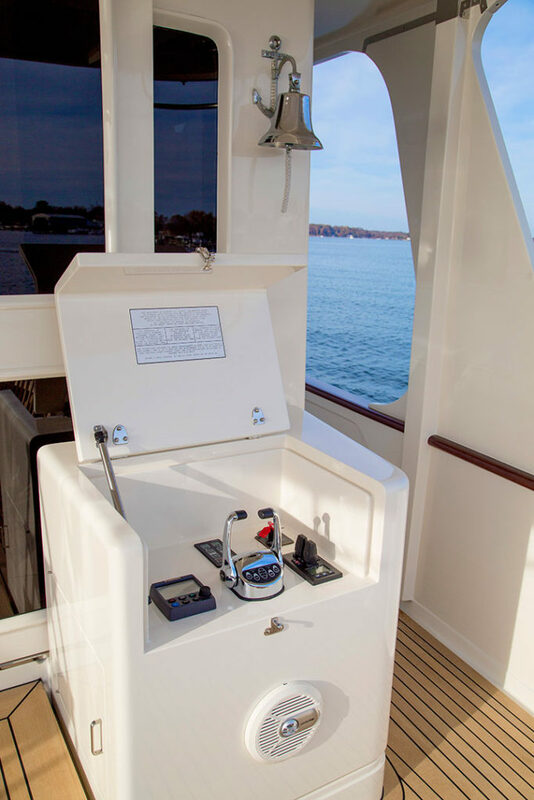 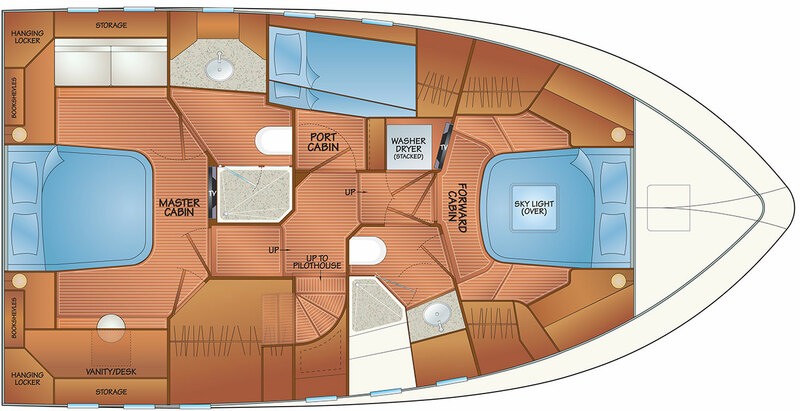 The additional beam is felt throughout the boat, and allows two distinct options for the interior layout. 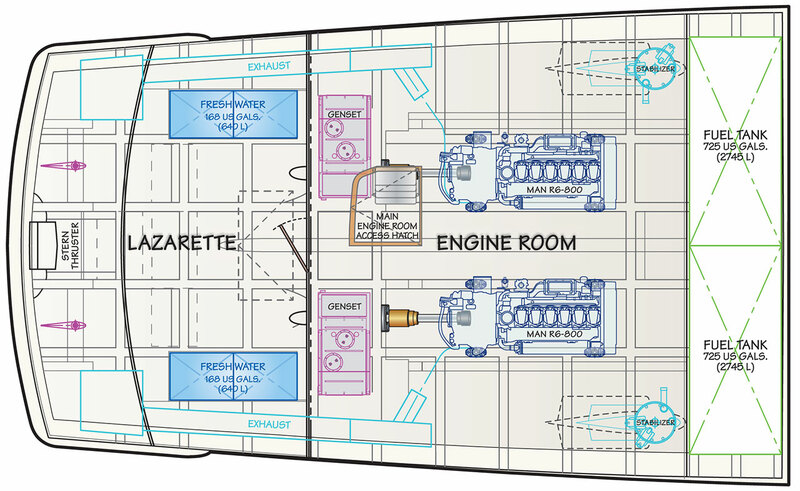 The first option is an expanded version of the traditional Fleming layout found on the 55. 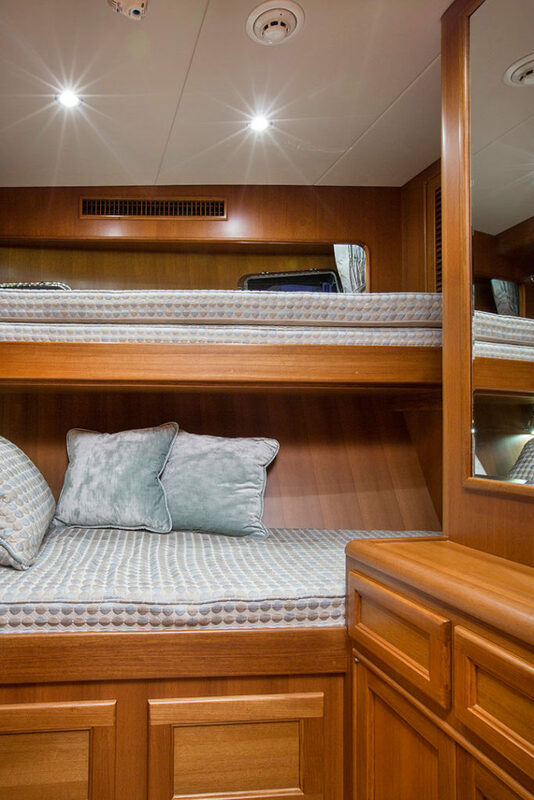 This classic design features access from the salon to a central accommodations passageway, with spacious staterooms on either side and a master stateroom forward. 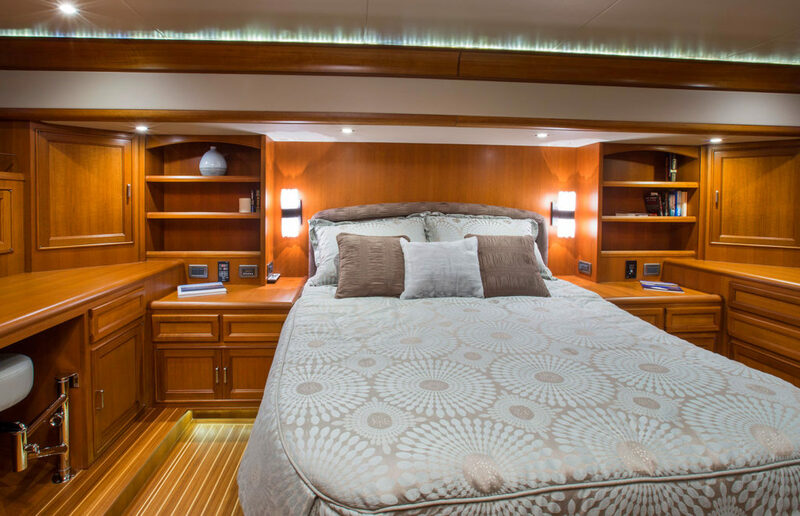 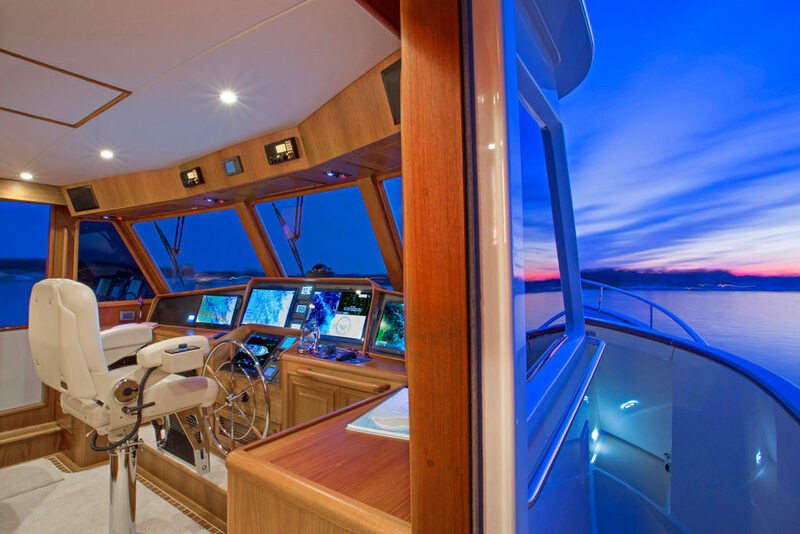 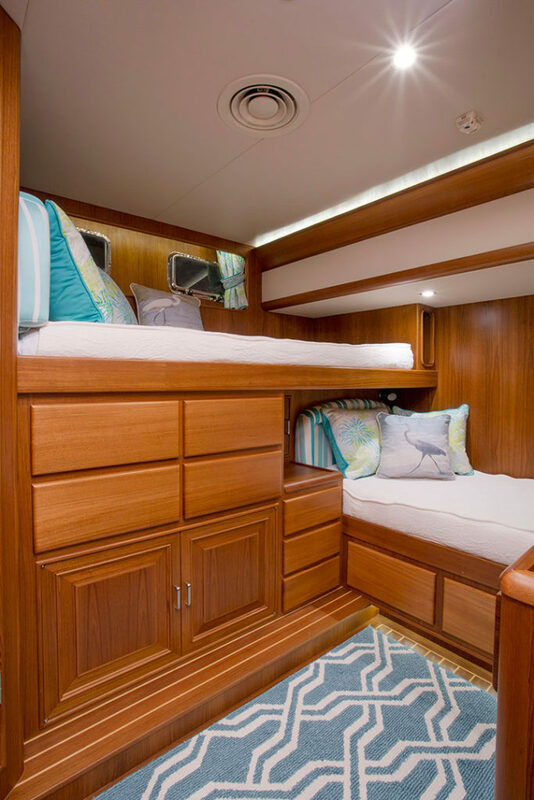 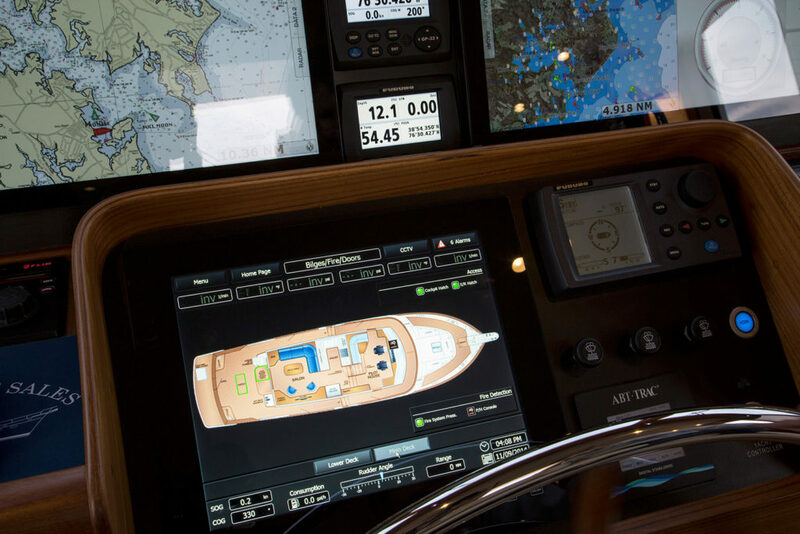 The second layout option features a full beam mid-ship master stateroom in addition to the VIP cabin forward and a port stateroom, all of which are accessed through an easily-navigated staircase from the pilothouse. 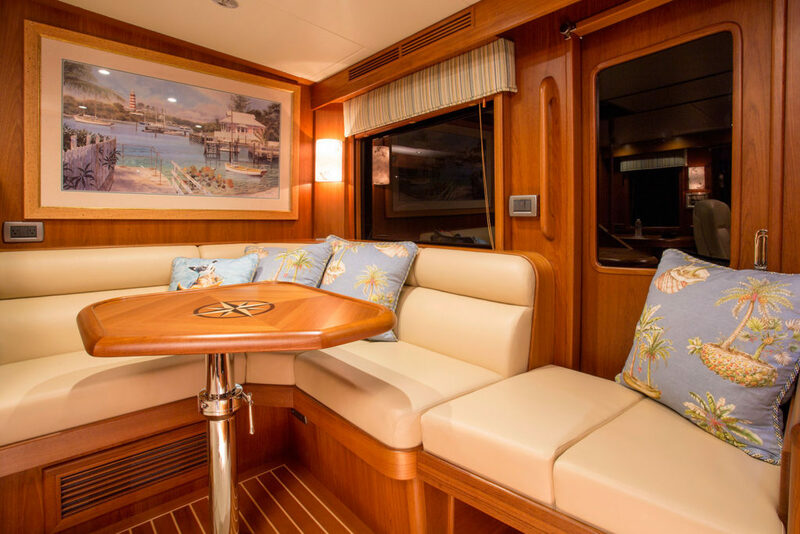 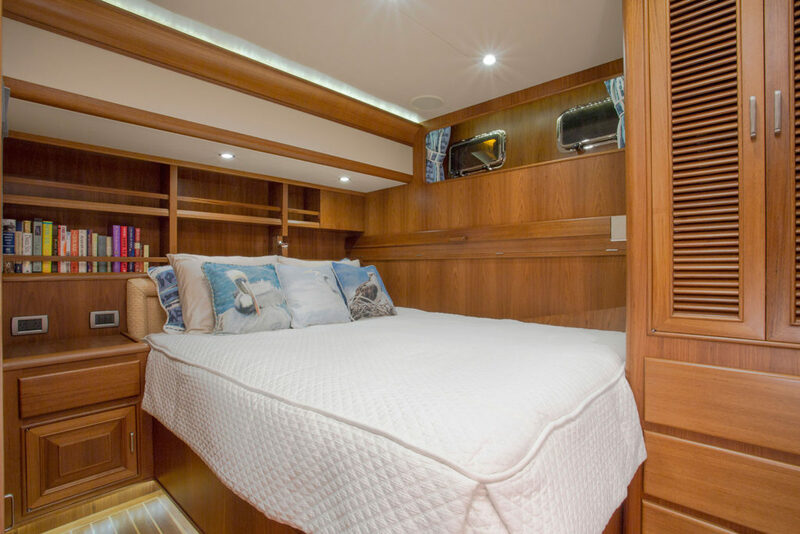 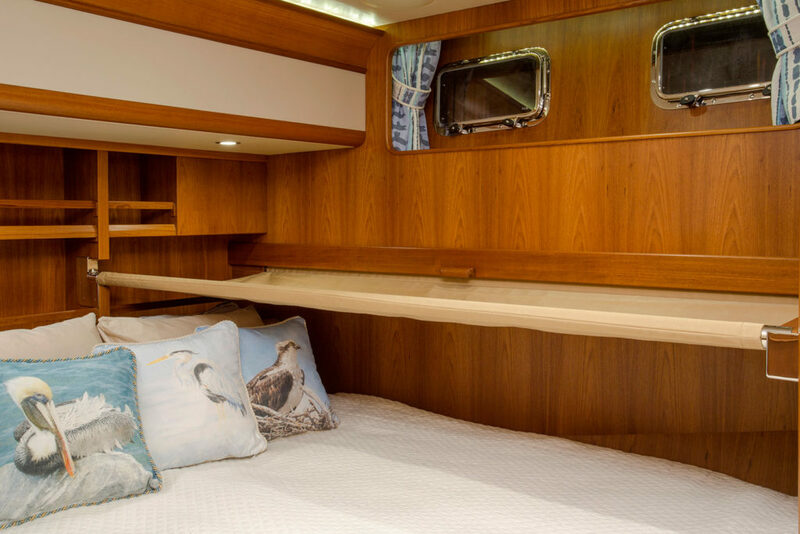 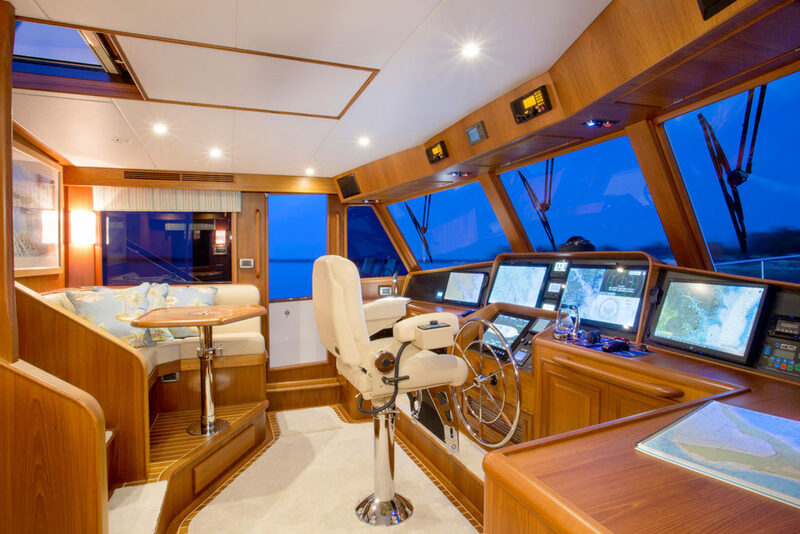 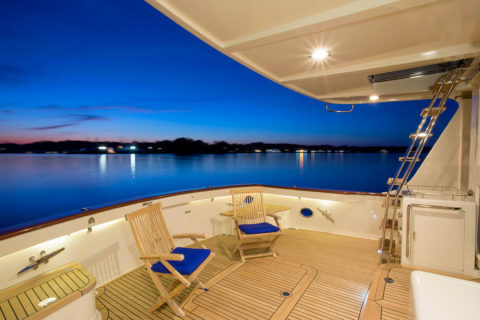 On both layouts, the wider beam allows a much larger pilothouse which can accommodate twin Stidd chairs and an optional day head. The expanded flybridge can accommodate a larger tender, a larger barbecue than on the 55, and additional refrigerator/freezer space. 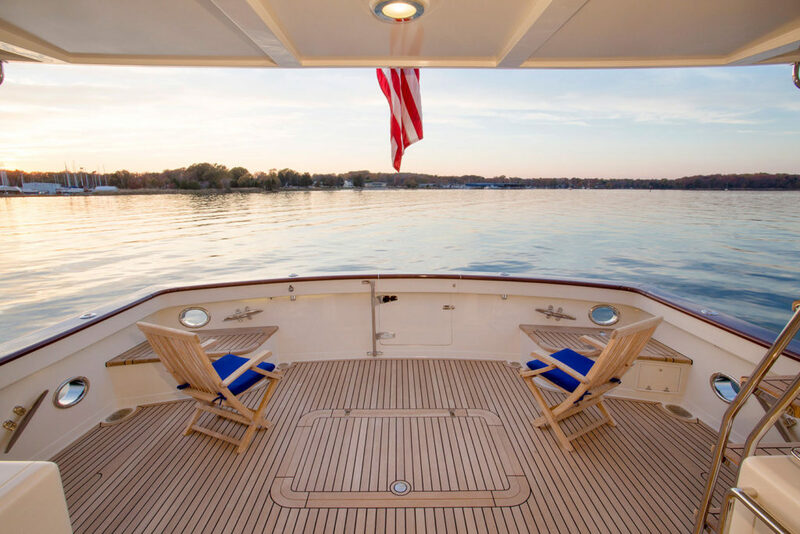 The Fleming 58 effortlessly blends the various advantages of the 55 and 65, while adding its own distinctive character to the mix, resulting in a truly defiant modern motor-yacht.